Now in Maine! 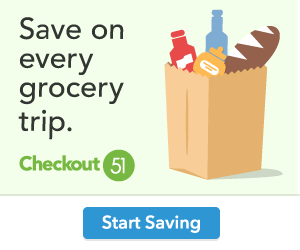 Get $15 off $15 at Google Express with FREE Shipping | Groceries, Clothing Home Goods and More!!! Tips: Shop around to find items to equal just over $15. Buy $15 worth from the same store to get FREE shipping. *This offer may end at any time. Applies only to 1st purchase (even if it’s less than the coupon value). Valid for 30 days while your account’s active. Alcohol, gift cards, membership costs, and shipping & service fees excluded. For complete terms and conditions, see g.co/express/trial. Here are all the Black Friday 2015 deals for Old Navy! The top deals are marked with a yellow star. Check the boxes to add deals to your shopping list, then email, print or sync your list to the Favado app on your phone. Here are all the Black Friday 2015 deals for Barnes & Noble! The top deals are marked with a yellow star. Check the boxes to add deals to your shopping list, then email, print or sync your list to the Favado app on your phone. Here are all the Black Friday 2015 deals for Lowe’s! The top deals are marked with a yellow star. Check the boxes to add deals to your shopping list, then email, print or sync your list to the Favado app on your phone. Here are all the Black Friday 2015 deals for Bass Pro Shops! The top deals are marked with a yellow star. Check the boxes to add deals to your shopping list, then email, print or sync your list to the Favado app on your phone. Here are all the Black Friday 2015 deals for Kmart! The top deals are marked with a yellow star. Check the boxes to add deals to your shopping list, then email, print or sync your list to the Favado app on your phone. Here are all the Black Friday 2015 deals for Sears! The top deals are marked with a yellow star. Check the boxes to add deals to your shopping list, then email, print or sync your list to the Favado app on your phone.